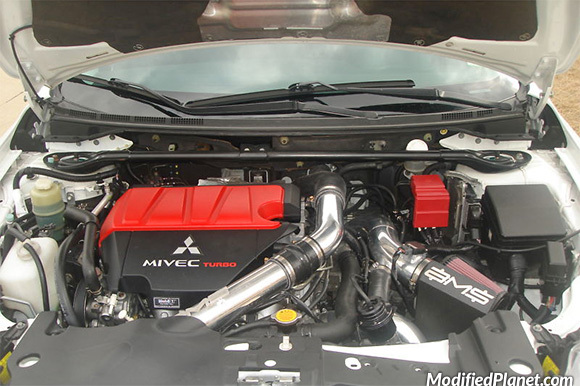 Modified 2010 Mitsubishi Evo X engine bay featuring a Extreme Turbo Systems intake kit and ETS upper intercooler pipe kit. 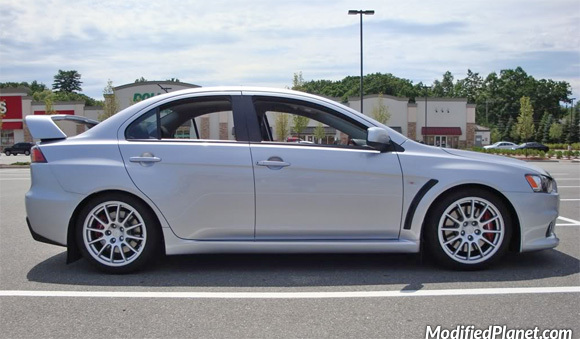 Modified 2010 Mitsubishi Evo X lowered on a set of H&R sport lowering springs. 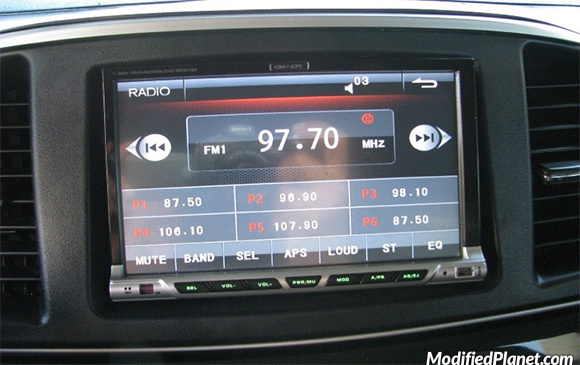 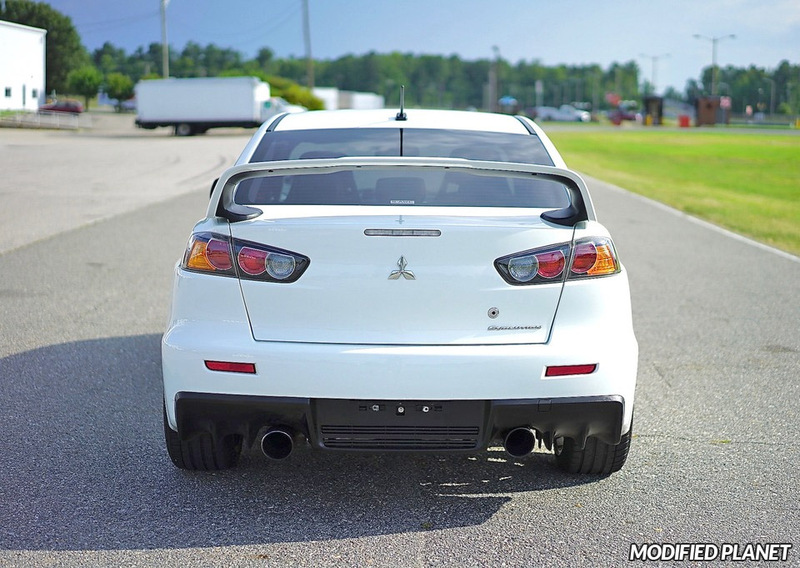 Modified 2010 Mitsubishi Evo X featuring a Performance Teknique ICBM-7.2GPS navigation system. 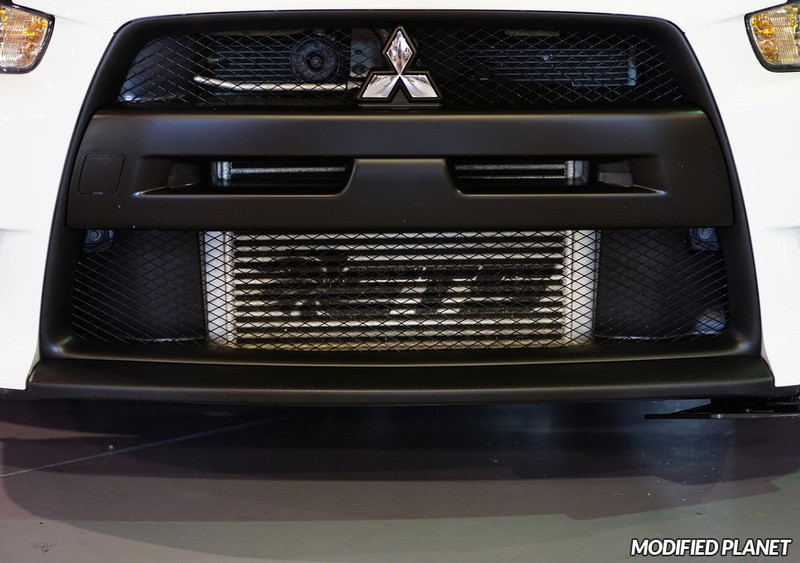 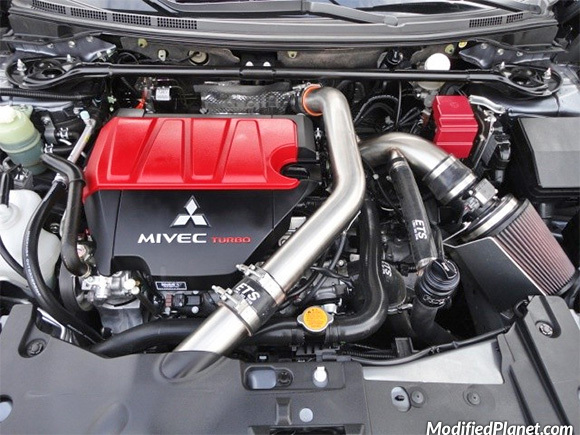 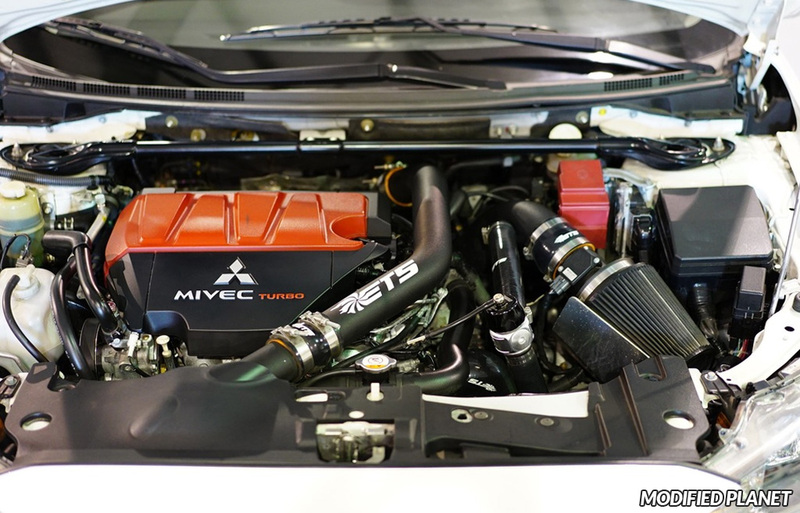 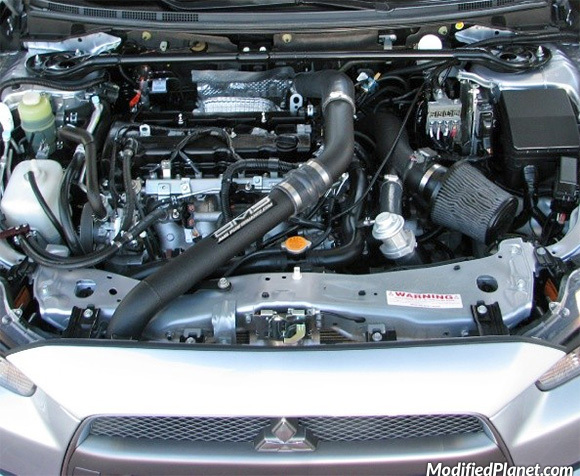 Modified 2010 Mitsubishi Evo X MR engine bay featuring an AMS Performance upper intercooler pipe.